Ferguson lake is a few minutes from the quaint village Calabogie. Our water front property is truly a nature lovers paradise! 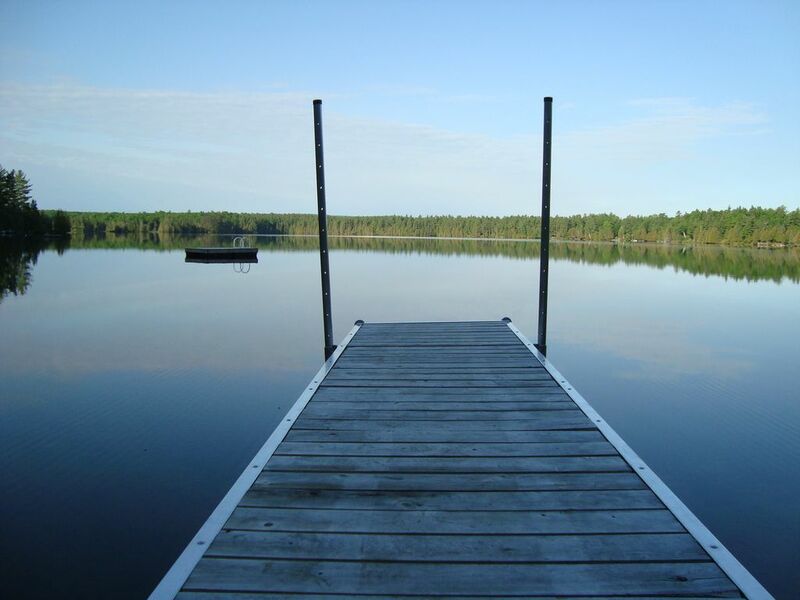 3 acres of privacy and 190 feet of waterfront on the very clean and quiet Ferguson Lake. Clean and clear gentle slope water entry for swimming and boating. Areas on the lake where you can watch the red wing blackbirds, frogs, and turtles sunning on logs! This lovingly built cottage offers large principal rooms for family gatherings! New kitchen along with a huge dining area for meals together. A large family room with gas fireplace await for cozy fires on cool evenings! 2 bedrooms, futon and a full bathroom. Enjoy the large wrap around deck that fills with sun, and an evening fire in the fire pit. Only a short 10 minute drive to Calabogie where you can find all amenities you need, like grocery stores with bakery, LCBO, Hardware store. Other adventures close by are; ATV trails, Hiking trails, Biking on the KandP railroad trail. Renfrew a 1/2 drive offers amazing shops, Walmart, No Frills and many restaurants. This cottage offers best of both worlds - peace and tranquility or fun and adventure!